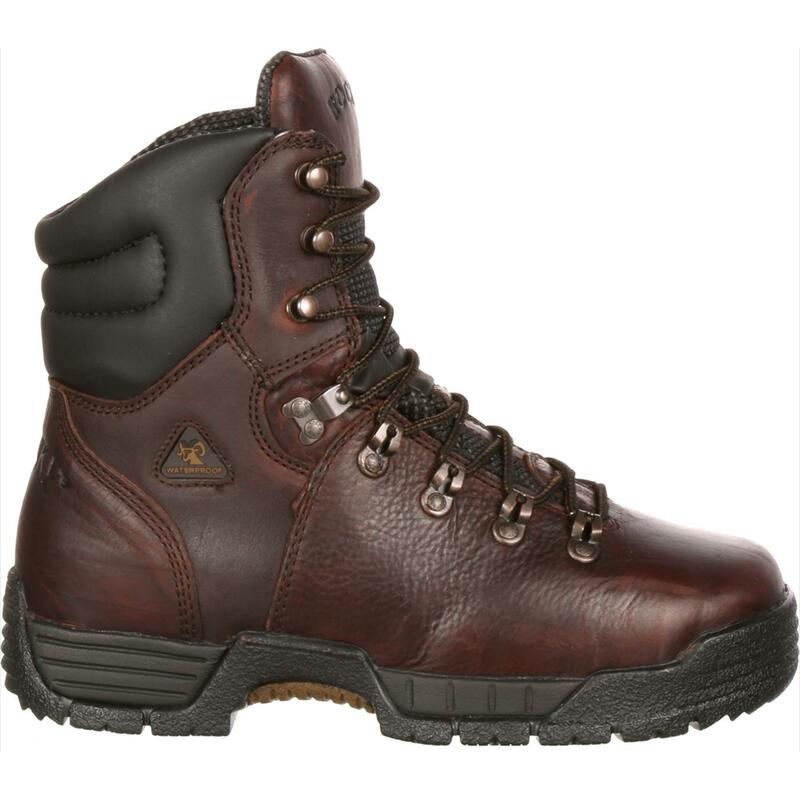 The Rocky® MobiLite Steel Toe Waterproof Oil-Resistant Work Boot offers eight inches of footwear protection without compromising your capacity to move quickly and work productively. 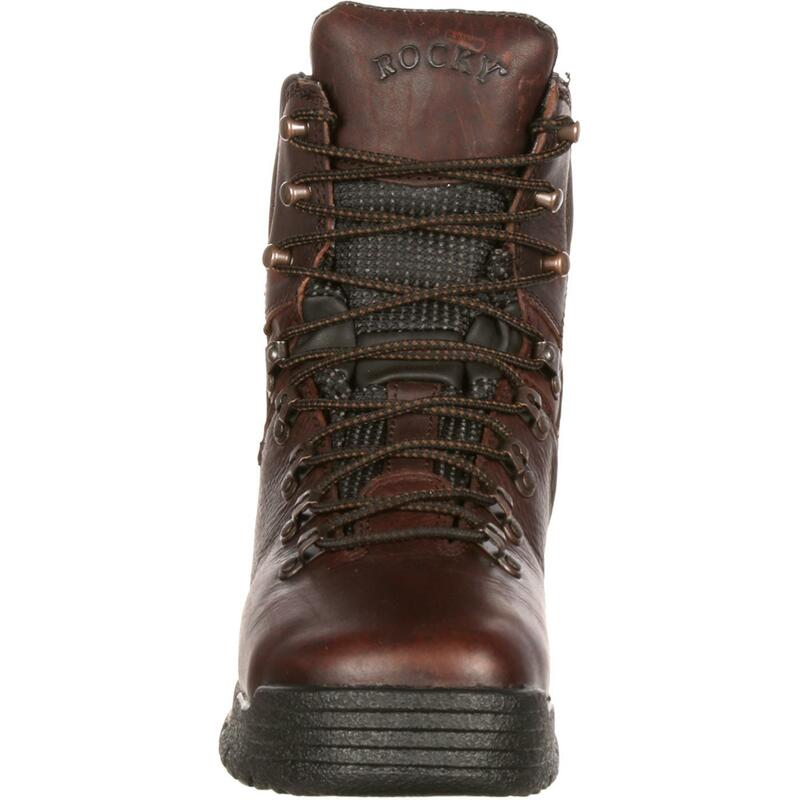 Rocky carefully constructed a steel toe boot that meets ASTM F2413 protective toe classification and boasts the widest oblique toe box in the industry. 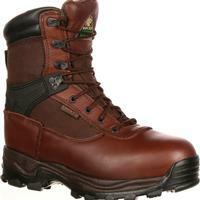 You can carry on with the work you love, knowing accidents around you are no need to worry. 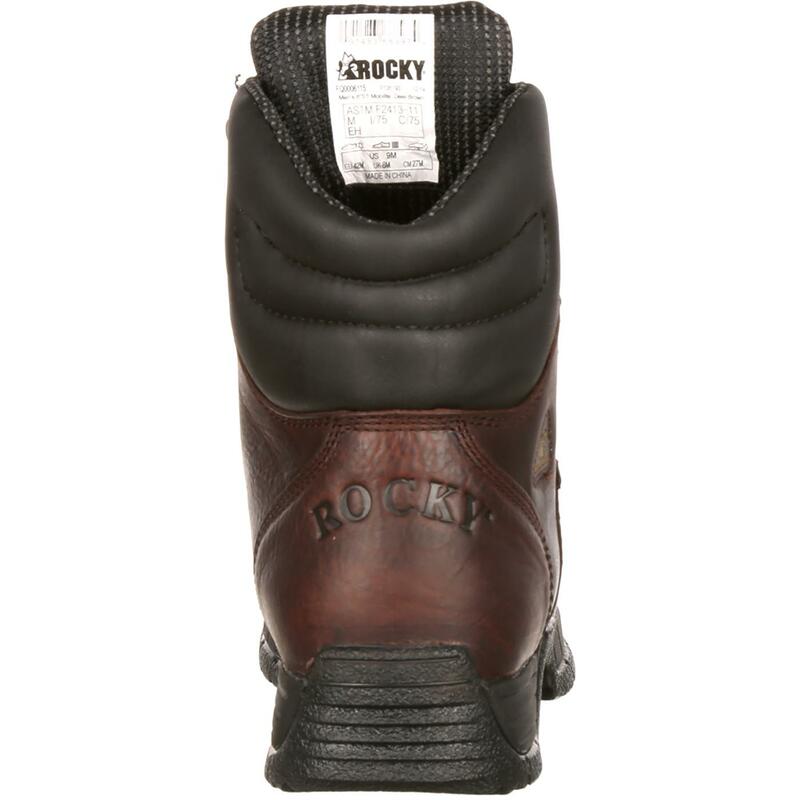 Rocky has you covered in this safety toe boot. 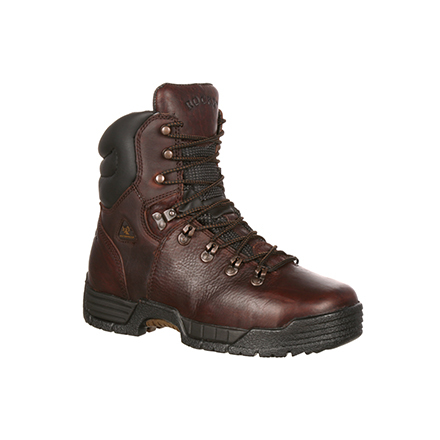 The unique, oil-resistant three-part MobiLite outsole, around which this work boot is based, provides exceptional grip to steady your stride without bogging down your mobility. 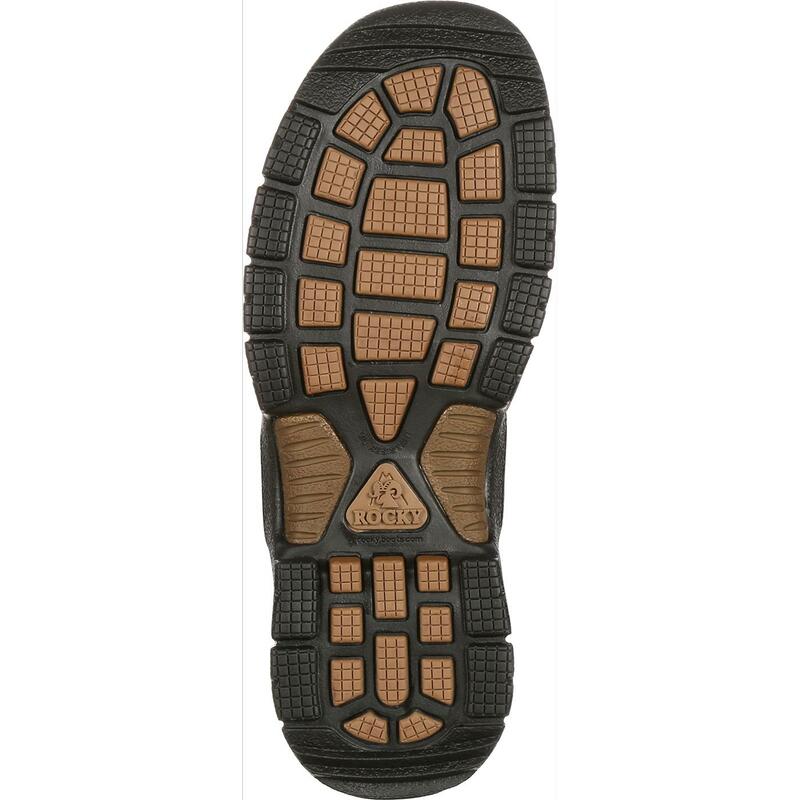 The lightweight material lets you move at the pace you prefer, while adding safety to your every step. 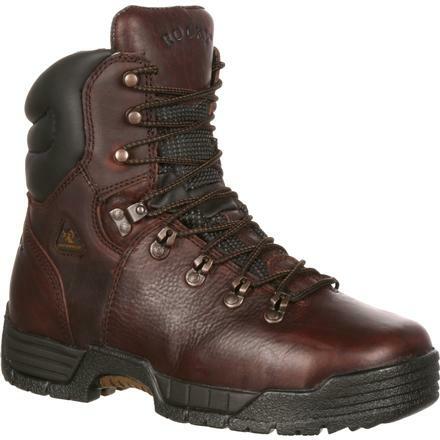 Guaranteed Rocky Waterproof construction is the high-quality assurance you'll appreciate when confronting water in the workplace. 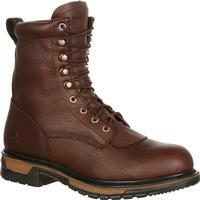 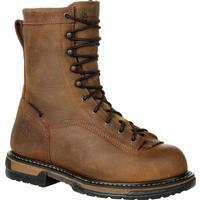 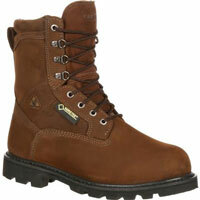 From the moment you clock-in to the moment you clock-out, enjoy dry, comfortable feet in this men's waterproof boot. 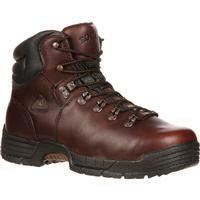 A work boot should offer as much comfort as it does security. 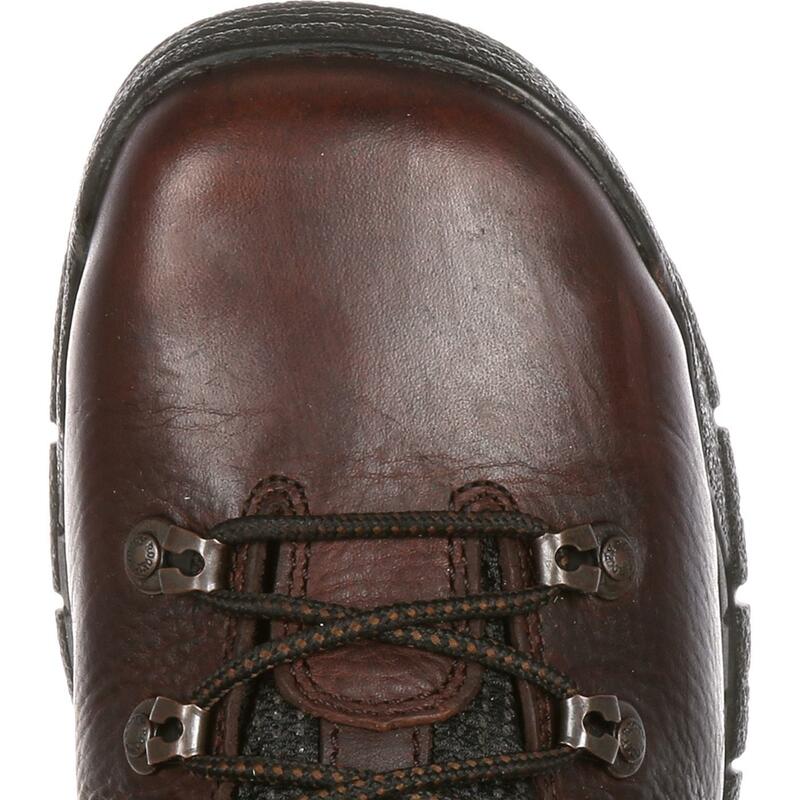 The removable polyurethane footbed in this strategically crafted shoe will keep your feet relieved and your mood happy. 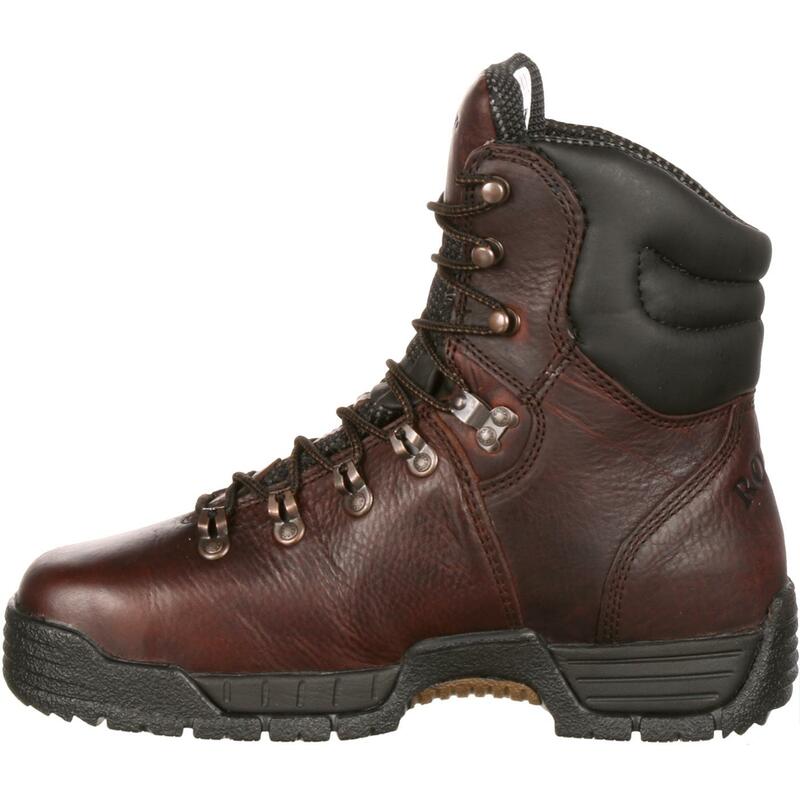 If you're a hard-worker who wants a boot to match your ethic, the Rocky MobiLite Steel Toe Waterproof Oil-Resistant Work Boot is your solution.